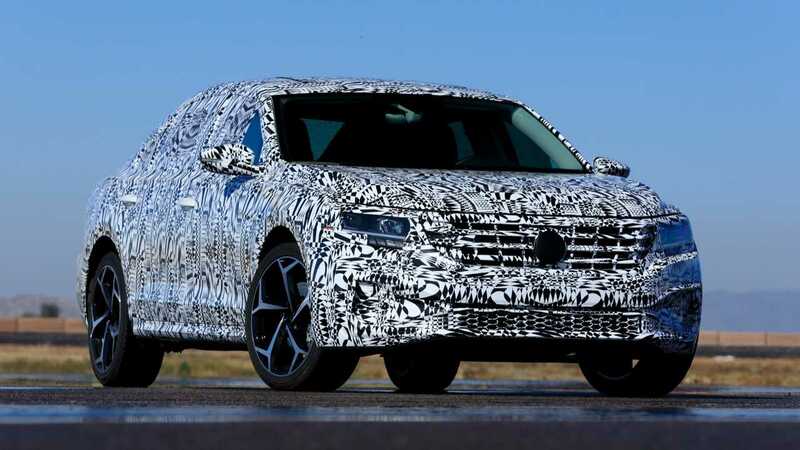 The 2020 Passat will debut next week in Detroit. In the United States in 2018, consumers snapped up 4.25 million sedans. That's a fact, according to Volkswagen USA's Twitter account, which shared the statistic along with a teaser of the upcoming Passat. To date, it's our first look at the uncovered 2020 sedan ahead of its debut next week at the Detroit Auto Show. But the image doesn't show much. In it, we see a fancy five-spoke wheel wrapped in grippy ContiPro Continental tires… and that's about it. 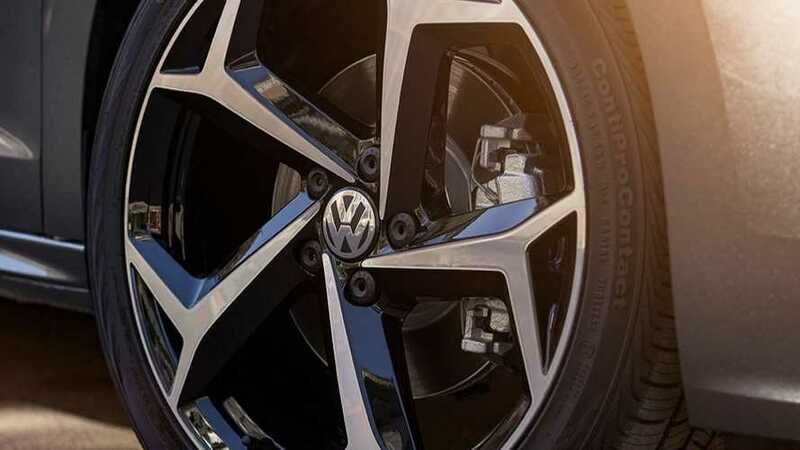 Based on our time spent in the Passat prototype, we know that this is the new range-topping R model, and those are the 19-inch wheels exclusive to the top-end trim. Other lower-level Passats will get 17- and 18-inch wheel options. Outside of new wheels and updated visuals, don't expect a ton of other changes to this Passat. It still rides on the same platform, not the heavily rumored MQB chassis that underpins cars like the Jetta, Golf, and Arteon. And the turbocharged 2.0-liter engine carries over, as well; for 2020, the four-cylinder engine produces the same 174 horsepower (129 kilowatts) found on the current model but sees a torque increase to 207 pound-feet (from 184). Like the three-row Atlas and the previous Passat, VW will build this one at the company's Chatanooga, Tennessee facility. Four unknown trim levels will be available at launch – sans the sporty GT model – and price will likely see a bump. We'll know more about this new Passat when doors open to the Detroit Auto Show next week.